Welcome to Wednesday. As we prepare for an onslaught of new arrivals that will be hitting the App Store midnight, a number of apps and games have been updated with new features and we’re here to tell you what’s changed. We also want to make sure you stay on top of recent discounts as some apps get slashed by as much as eighty percent with the others going all the way down to zero bucks. And it wouldn’t be a roundup without taking a look at some of the forthcoming releases due later this month or sometime next year. This is App Recap, an app-focused column by iDownloadBlog. Heroes of Might & Magic III HD Edition: The Restoration of Erathia [iPad] — Ubisoft today announced an iOS port of the popular fantasy turn-based strategy game released for Microsoft Windows by the 3DO Company back in February 1999. Scheduled for release on January 29, 2015, the re-worked game has updated graphics for Retina screens and sports touch-optimized controls, seven campaign scenarios, 50 skirmish maps, a local multiplayer mode and a map editor. My Om Nom [Universal] — ZeptoLab, the maker of Cut the Rope, is teasing a virtual pet simulator based on Om Nom, the main protagonist in Cut the Rope. They’re calling it My Om Nom and it is what it is, a pet game in which you take care of your candy-loving monster’s daily needs by playing with him, feeding him sweeties, keeping him happy and more. My Om Nom is launching next Thursday. My Phrases Keyboard [Universal: Freemium] — A new iOS 8 keyboard to send canned replies with one tap instead of trying to write a message while doing something else. 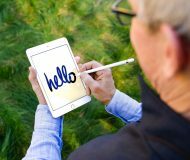 It’s got 30 different built-in phrases, each customizable with your own URLs, mailing addresses, emojis, personal details and so forth. Read Lory’s review for more. 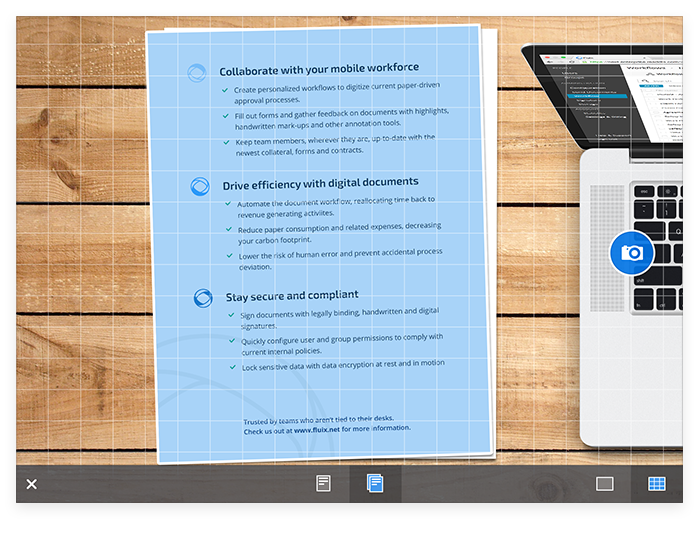 PDF Office [iPad: FREE] — A new productivity suite from the reputable Ukrainian developer Readdle brings out some of the most comprehensive PDF editing and annotation capabilities we’ve seen on the iOS platform thus far. You can create new PDFs, jot down notes, scan documents using your iPad’s camera with automatic form fields detection, create and fill out forms, convert any file to a PDF, picture or even a website into a PDF document, annotate and sign PDFs, collaborate on documents and more. PDF Office is available free of charge with subscriptions starting at $5 per month, or $40 per year. PDF Expert 5 users will receive a free annual subscription if they activate their account until next Thursday. The full rundown is right here. Puzzle Maniak — Launching tomorrow, Puzzle Maniak is a collection of challenging puzzle games that are all randomly generated on-the-fly for unique solutions: Sudoku, Pattern (Picross like), Bridges, Dominosa, Filling, Galaxies, Loopy, LightUp, Mines, Net, Rectangles, Slant, Tents, Unequal, Untangle, Blackbox, SameGame, Pegs, Mastermind, Map, Magnets, Singles, Range and Netslide. Transformers: Battle Tactics — Created by DeNA and Hasbro and arriving sometime next year, Transformers: Battle Tactics is a turn-based tactical combat game with 75 familiar characters from the Transformers movies, among them Optimus Prime, Megatron and Bumblebee and many other. You’ll be collecting and assembling your own teams of Transformers to take on other players from around the globe. Wakie – Social Alarm Clock [iPhone: FREE] — A brand new way to wake up, Wakie has 1.5 million Android and Windows Phone users around the world who have made 30 million wake-up calls. The app is now available on iOS and promises to make waking up easier and definitely original, by letting you receive a wake-up call in the morning from a closely moderated community of friendly strangers. Workflow — A brand new and powerful automation software for the iPhone and iPad is launching tomorrow. It has an easy to use drag-and-drop based user interface so anyone can chain multiple actions together to create complex workflows that connect your apps together and automate daily tasks. Workflow will be launching in the App Store tomorrow so keep your eyes peeled. In the meantime, check out another video that will get your juices flowing. 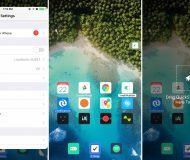 If these clips are an indication, Workflow will be bringing the productivity of a desktop computer to the iPhone and iPad. Can’t wait! Pho.to Lab PRO [$3 → FREE] — An image editor and full-featured photo fun generator for the iPhone and iPad with a grid maker, tons of collages, hilarious human-to-animal montages, holiday e-card templates etc. Appetites [$3 → FREE] — Hundreds of amazing step-by-step video cooking classes all presented from your point of view as the chef. Sega 99-cent sale — Sega has slashed a number of its iPhone and iPad games in the App Store to 99 cents, but you need to act fast as the sale ends tomorrow. The following games are now available discounted to 99 cents: Sonic & SEGA All-Stars Racing, Sonic Jump, Crazy Taxi, Virtua Tennis Challenge and After Burner Climax. Space Qube [$3 → Freemium] — A ‘shoot em up’ game with retro-futuristic 3D graphics and an in-game Voxel editor allowing you to create and share your own levels, Take control of a space ship, a flying toilet, a flying cow or anything else, shoot as many aliens as you can and get the highest score to climb up the ranks. Absorption 1.1 [Universal: FREE] — The game now supports iPhone 6 and iPhone 6 Plus screens. If you haven’t played Absorption yet give it a try, it’s insanely addictive. In Absorption, you live by absorbing from enemies and get score faster when you absorb more enemies at the same time. Here’s the official trailer. Booking.com 8.3 [Universal: FREE] — The app is now optimized for the iPhone 6 and iPhone 6 plus screens and has gained a lot faster booking by credit card that no longer requires you to include the cardholder’s name anymore, sans American Express cards. Plus, it’s now easier to select your country of residence when making a booking. Calorie Counter & Diet Tracker 5.8 [Universal: FREE] — MyFitnessPal’s app now lets you find friends in it, has an improved recipe tool and streamlined navigation on iPads making it easier to add foods and exercises to your diary and see your progress. Cut The Rope 2 ‘Bakery’ Update [Universal: $3] — Fresh out the oven: meet Om Nom’s new friend Ginger and play through dozens of new levels in the Bakery. Cut the Rope: Holiday Gift [Universal: FREE] — In time for Christmas, Cut the Rope: Holiday Gift is back in the App Store. Om Nom now chomps with even more pleasure in a bunch of new holiday-themed levels available at no cost. 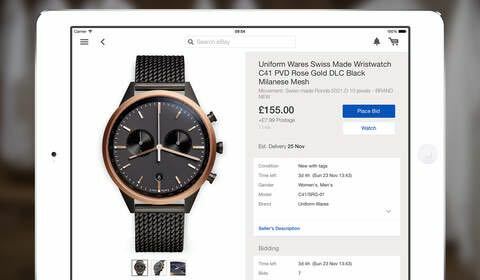 eBay for iPad 3.4 [iPad: FREE] — eBay’s thoroughly rethought iPad app now looks business and comes with some exclusive (though not Earth shattering) deals on Apple accessories. Details here. 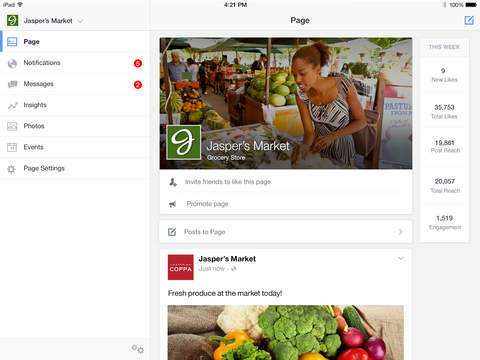 Facebook Pages Manager 12.0 [Universal: FREE] — Facebook’s app that lets you manage and edit your Pages on the go has finally received native iPad interface in the latest update. You’re going to love its tabbed iPad UI that provides faster access to messages, notifications and insights. In addition to the iPad UI, Pages Manager has picked up bug fixes and performance updates in this update. Lara Croft and the Guardian of Light 2.0 [Universal: $5] — iOS 8 compatibility, the iPhone 5, 6 and 6 Plus support, high-res textures and interface and now a universal build with cloud saving across devices. 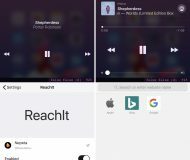 Shazam 8.2 [Universal: Free] — A major Shazam update with a redesigned Home screen, an in-app player to listen to full playlists across Shazam Charts, your Shazams and Recommended songs and the ability to quickly rate any track by swiping. You can now listen to full Spotify tracks in any Shazam playlist, add a Shazam track to any of your Spotify playlists as well as find all your Shazams saved to a ‘My Shazam Tracks’ playlist in Spotify. Jump here for detailed overview. Snapchat 8.1 [Free: iPhone] — Finally optimized for the iPhone 6 and 6 Plus screens, this update also brings about improved captions and the ability to stack filters on top of each other. Sébastien has more on that. Strava Running and Cycling 4.3 [iPhone: FREE] — Lets you import contacts from your phone to find and follow friends already on Strava. The new Matched Runs feature on the Activity Detail page clusters routes you run most frequently so you can track your progress and set new goals. TouchPal Keyboard 1.2 [Universal: FREE] — Swipe on space bar or use the isolated toggle to switch languages. 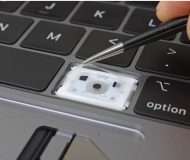 Chinese users: Pinyin support and a new stroke filter. Trials Frontier 3.0.1 [Universal: Freemium] — Ubisoft’s excellent skill-based motorcycle running game in its largest update yet delivers a new Player vs. Player mode and 16 new tracks in an eye-candy Cave World environment. 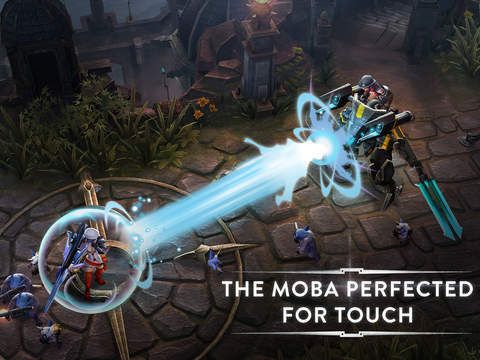 Vainglory 1.1.5 [iPad: Freemium], Vainglory [iPhone: Freemium] — A truly massive update to this Metal-optimized game that Apple showcased at the iPhone 6 event contains a whole bunch of goodies too numerous to mention here. Most notably, there’s a new hero called Skaarf, basically a dragon that spits fireballs to deliver long-range damage during battles or slow down enemies. You can now invite up to six players to join private battles, participate in single-player duels and much more. Vine 3.1.3 [iPhone: Free] — At last, you can now double-tap to like vines. 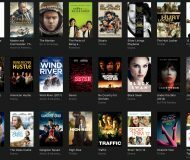 Amazon starts streaming select movies and TV shows in 4K — Amazon’s $99 per year Prime subscribers can now stream select television shows and movies in high-quality 4K picture resolution through the Amazon Instant Video app on compatible Ultra HD smart TVs, including models from LG, Samsung and Sony (more to be added next year). YouTube is already doing 4K streaming and Vimeo recently announced that Pro users can now upload content in 4K. 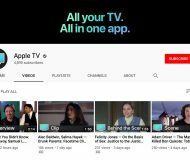 In addition, the update puts four new content sources on your Apple TV’s Home screen: Condé Nast’s The Scene, news and pop culture channel Fusion (a joint venture between Disney-ABC and Univision), Dailymotion (France’s version of YouTube with 30 million videos) and UFC.TV with both free and paid video, including content behind $10 a month “Fight Pass” subscription. 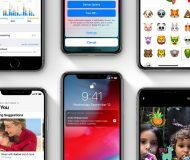 Apple releases iOS 8.1.2 — Apple yesterday posted a minor iOS 8 update sporting bug fixes and resolving an issue with ringtones purchased through the iTunes Store disappeared from some people’s devices. If you’re jailbroken, know you can still downgrade to iOS 8.1.1 as Apple still hasn’t closed the signing window of iOS 8.1.1.
iOS 8.2 beta 2 seeded to devs — Apple today made available the second beta version of iOS 8.2 to its registered developers. We haven’t spotted any major new additions yet, but if you do make sure to email us. 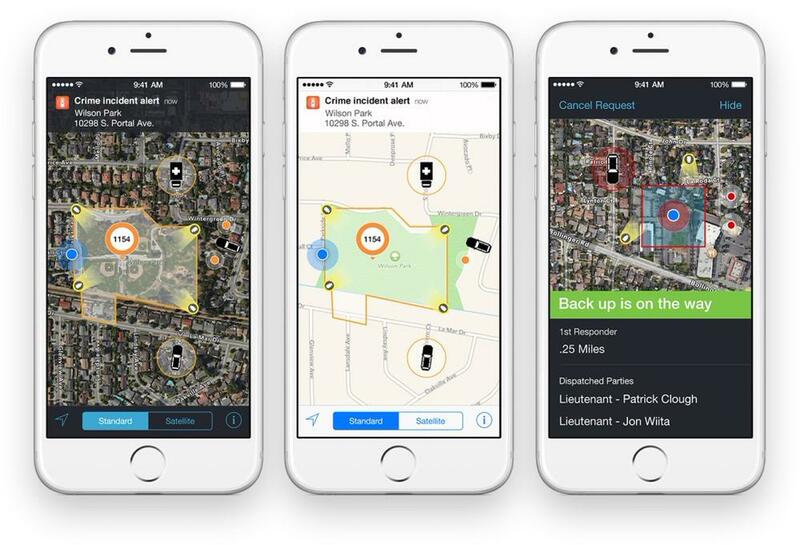 HERE Maps coming to iPhone in early 2015 — Nokia today released HERE Maps for Android and confirmed that a native iPhone client is in the works and on track for release in early-2015. 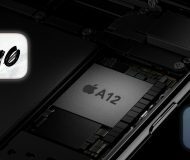 IBM and Apple launch 10 IBM MobileFirst apps — Born out of the Apple-IBM enterprise partnership announced back this summer, the two tech giants today released ten business-focused iPhone and iPad apps that take advantage of IBM’s cloud infrastructure. Covering insurance, retail, telecom, government, travel, transportation, banking and other industry verticals, these sophisticated applications are raising enterprise users’ standards for user interfaces and functionality. Instagram rolls out verified badges — Instagram today announced reaching 300 million active monthly users and rolled out verified badges for celebrities, athletes and brands. Moreover, not only will the service be deactivating spammy accounts going forward, but deleting them forever. Facebook Trending coming to iPhone soon — Facebook Trending launched today in the mobile app for Android and on the web, with a refresh to the iPhone client following soon. The feature makes it easy for people to explore stories from different sources. Trending organizes public posts and those that you are in the audience for in the following sections: Articles, In the Story, Friends and Groups, Near the Scene and Live Feed. 63% of iOS devices are on iOS 8 — The latest stats straight from Apple show that the iOS 8 adoption rate has picked up 3 percentage points since November 24. Find My iPhone on iCloud.com now uses Apple Maps — In what appears to be another sign of a full-on Apple Maps web app, Apple has now purged Google Maps from iCloud’s Find My iPhone web app. 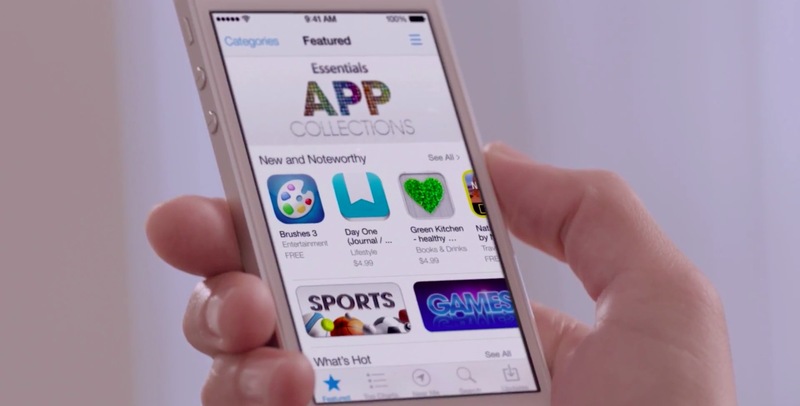 Send us your App Recap submissions and thoughts to tips@iDownloadBlog.com.